Lead Bartender Erica Gantt crafts mocktails in the Georgian Room Lounge. These creative drinks offer all of the complex flavors of classic cocktails, minus the alcohol. The latest trend in cocktails is actually not a cocktail at all. Mocktails are nonalcoholic beverages that “mock” spirited cocktails. 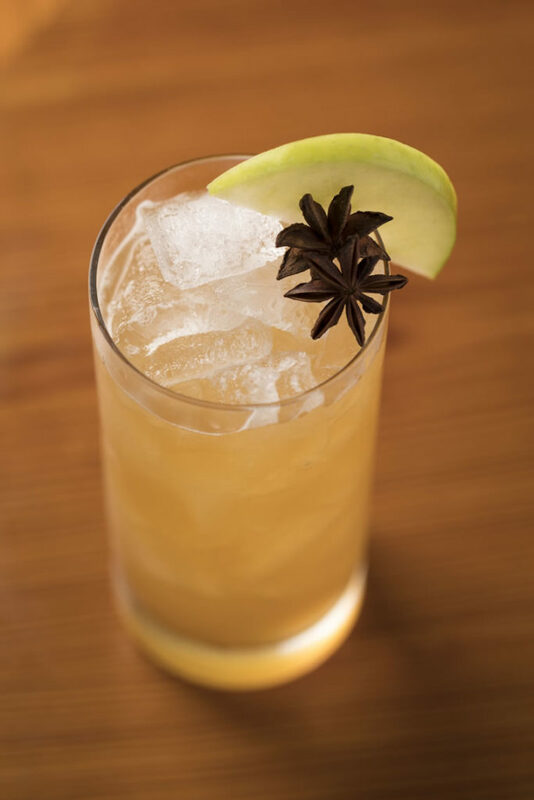 To the untrained eye, these drinks look and often taste very much like their cocktail counterparts, providing a sophisticated alternative for those who want to enjoy the flavor of a mixed drink without the effects of alcohol. Mocktails have become so popular that they are now a staple at most dining establishments at Sea Island, says Megan Corrigan, who serves as a bartender at River Bar & Lounge. “I think it’s one of the driving forces that keeps us creative,” she says. Many bartenders at the resort craft their mocktails using house-made sodas, fresh-pressed fruits, muddled herbs and vinegar shrubs to imitate the flavor and sophistication of a classic cocktail. 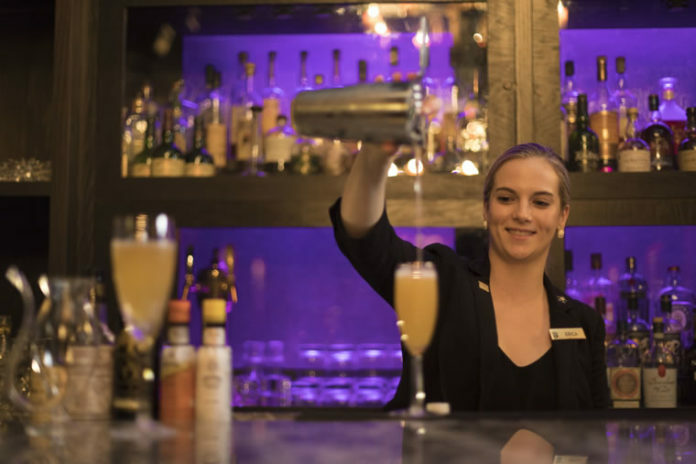 “I think our responsibility as bartenders [is] that we are able to provide our guests with creative and thoughtful alternatives to alcohol if they have made a decision not to drink,” Corrigan says. Here are just a few of the inventive mocktails to try at Sea Island. Back at River Bar & Lounge by popular demand, this tart yet sweet beverage mixes a house-made ginger and cinnamon syrup with lemon juice and apple shrub, a so-called “drinking vinegar” mixed with fruit juice. Shrubs are a popular staple in craft cocktails as well as mocktails, able to deliver a sweet or acidic vibe to beverages, making the ideal mixer for a seasonal lemonade mocktail. Some of the property’s favorite drinks have been crafted into nonalcoholic beverages for all to enjoy. “The most popular cocktail in River Bar [& Lounge] history is the Last Tango, and we have a mocktail version of it,” Corrigan says. The Last Tango itself comprises hibiscus-infused tequila, muddled basil and cantaloupe, plus lime juice, agave and a hint of cayenne salt. While the Mini Mambo is inspired by this flavorful cocktail, it lacks the tequila and salt, combining muddled cantaloupe with agave and lime juice before it is finished off with a splash of Sprite and a basil garnish. Few bar drinks are as elegant as sparkling Champagne cocktails. These beverages are traditionally served with a sugar cube at the bottom of the flute with a few drops of bitters and a splash of brandy. The mock version, served in the Georgian Room, uses pomegranate balsamic vinegar and Sea Island’s specialty house-made peach jam to mimic the blush of the Champagne cocktail, and is topped off with sparkling apple cider. 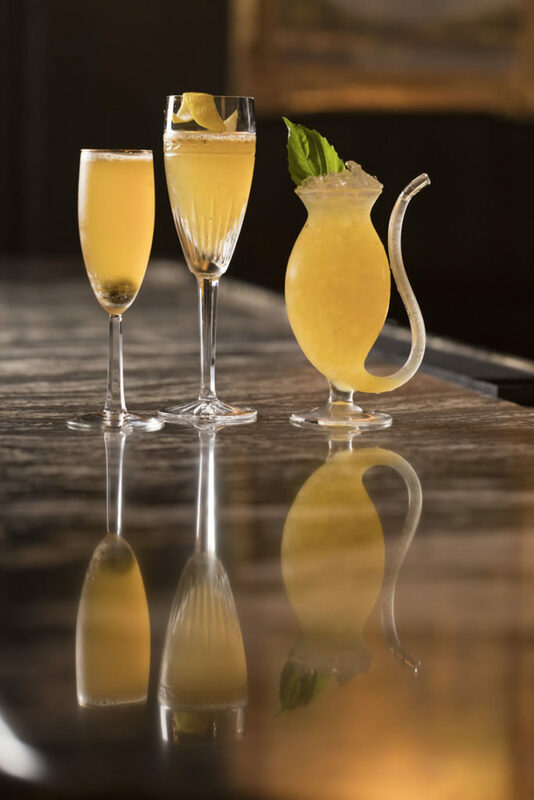 The classic French 75, which is a sophisticated cocktail that developed over the first half of the 20th century, is typically made with gin, Champagne, lemon juice and either simple syrup or sugar. But Gantt has thought of a unique way to make this drink without its alcoholic elements. “Since gin is [often] made with juniper, I use dried juniper berries, add lemon and simple syrup, and muddle that together,” she says. That concoction is shaken with ice and strained into a Champagne flute before being topped with sparkling apple cider. The Nonalcoholic French 75 is served at the Georgian Room. Another gin-inspired Georgian Room mocktail is a nonalcoholic stand-in for the iconic gin and tonic. Gantt uses cucumber and basil syrup to mimic Hendrick’s Gin’s cucumber and rose-infused gin then blends it with Fever-Tree, a premium tonic water that is used in many of the beverages at the Georgian Room. The final product is served with a fresh basil leaf.